BOOKMARK this page to save the hassle of going back through the pages each time. 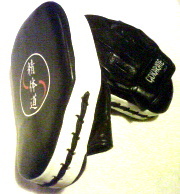 For focus pad and bag work. It's a good idea to wear protective gloves. These can either be obtained through the club or sourced yourself. Gloves help support the wrist, protect the knuckles and absorb some of the shock of the blow. Males must wear a groin protector when engaging in freestyle bouts. These are available from most sports shops. 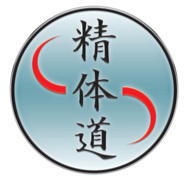 Shin pads can also be a useful piece of kit, especially for practicing the 'leg intercept' techniques required for the higher grades. Please ensure you have a set of closed finger boxing gloves for competitive freestyle practice. These are very effect in protecting the fingers, eyes and throat of participants. 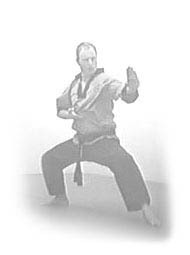 Note that strikes to the front of the face are not allowed. For boxing and contact kickboxing bouts, full (closed finger) boxing gloves must be worn. 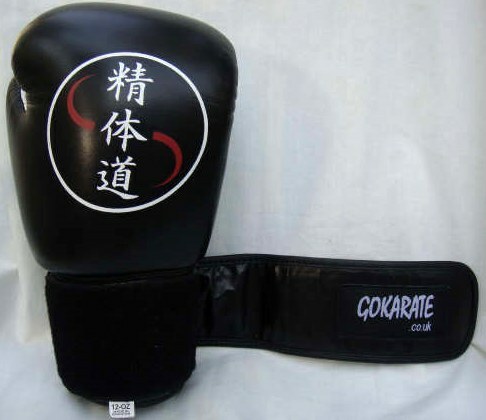 Where strikes to the head are allowed, head guards and gum-shields must be worn and foot protectors must be worn for bouts where kicking is allowed (kickboxing). NEW: Sew-on embroidered badges now available, 2.00GBP.